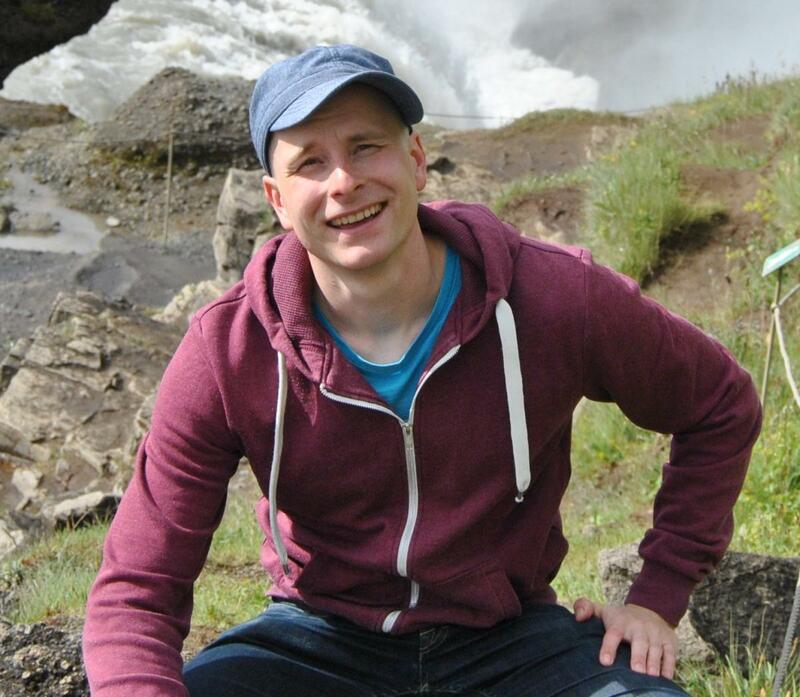 I am a young Finnish geologist with a background is in economic geology and geochronology. I got my Master’s degree in geology from the University of Helsinki in summer 2014, and my M.Sc. project was an in–situ U–Pb dating focused to the Juomasuo gold deposit, one of the prime gold showings in Eastern Finland. For an unknown reason, the hundreds of hours of sample preparation and the tedious data analysis related to my M.Sc. thesis just enhanced my interests towards geochronology. Partly because of that, during the busiest time of my thesis work, I found myself applying for the Nordvulk fellowship program. Currently, as a Nordvulk fellow, I am working in a research project aiming to date Plio–Pleistocene to Pleistocene basaltic lava flows in Reykjanes peninsula and in Greater Reykjavik area. These interglacial lava flows are relatively young and low in potassium, which makes them difficult to date by isotopic dating methods. The plan is to overcome the problem of low K by looking into basaltic melt segregations within the lava flows. Melt segregations are a common feature in pahoehoe lavas, and they are produced by 40–60 % fractional crystallization of the host lavas during the lava emplacement. Because melt segregations are enriched in potassium, properly prepared samples of them could theoretically give high quality 40Ar*/39Ar –ages resembling the age of the lava flows. If providing positive outcomes, our method of dating could be applied to reconstruct a complete volcanic history of the area. I am a geochemist and igneous petrologist with strong interests in understanding the driving forces of magmatic activity in active volcanic systems, particularly oceanic islands and rift-related terrains. Before my arrival at Norvulk, I completed a Ph.D. in Earth Sciences from the Scripps Institution of Oceanography. I have worked on a wide array of research projects from contrasting tectonic settings around the globe, such as the igneous petrogenesis and radiogenic isotope geochemistry of Icelandic lavas but also the noble gas and stable isotope systematics of mantle-derived rocks and fluids in Indonesia and the East African rift system. At Nordvulk, I plan to undertake a systematic study of isotopic variations in postglacial basaltic volcanic products of the Western and the Eastern Rift Zones of Iceland with a focus on magma chamber processes and how they relate to eruptive style and temporal trends. The on-going Holuhraun Fires will clearly form an important part of my research activities while at Norldvulk, as I am deeply involved in issue concerning the petrology and geochemistry of the eruptive products of the Fires. I have been fascinated by the paleoclimatic history found in polar ice cores ever since the beginning of my M.Sc. study at the University of Iceland. There I measured and analyzed the stable water isotopes δ18O and δ2H of a shallow ice core from NE-Greenland (NEEM) in collaboration with the Niels Bohr institute of Ice and Climate. I realized during this work that it combined my broad interests in science, partly explaining my B.Sc. background in microbiology and physics. At NordVulk, I will be studying the atmospheric circulation changes that occur after tropical eruption versus local Icelandic eruption. Such analysis requires General Circulation Model (GCM) outputs but stable water isotopes from Greenland ice cores will also be used in order to detect a climatic fingerprint related to volcanic events. The cause of such events is mainly the volcanic sulfate aerosols that influence the Earth´s radiation budget but various dynamic oceanic and atmospheric forces determine it´s local and/or global effects. I want to see if a difference in the circulation pattern can be observed between tropical and local (Icelandic) eruptions and if that difference is detected in the isotopes. Atmospheric circulation, and thus temperature, can be retrieved from the isotopes, making them an excellent climate proxy. Since 2003 I have worked with Icelandic tephra. In my BS project I concentrated on a single tephra layer. During my masters project the focus was on numerous layers from one single volcano, Katla. For my PhD project I worked on numerous layers from three volcanoes in Vatnajökull forming a long time series. This work has been carried out here at the University of Iceland and Université Blaise Pascal in Clermont-Ferrand, France. I did observe the Grímsvötn 2011 eruption, experienced the darkness during a heavy tephra fall and measured and sampled freshly fallen tephra. This direct tephra encounter gave me a new vision on tephra and my “pet project” these days is to observe what changes a tephra deposit goes through before it is incorporated in the soil and becomes a measurable tephra layer in soil sections.